Just two weeks ago Ralph Lauren announced it would be closing its younger prep brand Rugby, and now it has revealed RL Vintage, a new shopping site in its place dedicated entirely to the brand’s extensive vintage archives. The RL Vintage online boutique features 45 handpicked pieces from the Ralph Lauren archives, a curated selection that will switch over every season to fit a new theme. While the e-commerce site is supposed to be fully shoppable, the assuming high prices are available by request only. 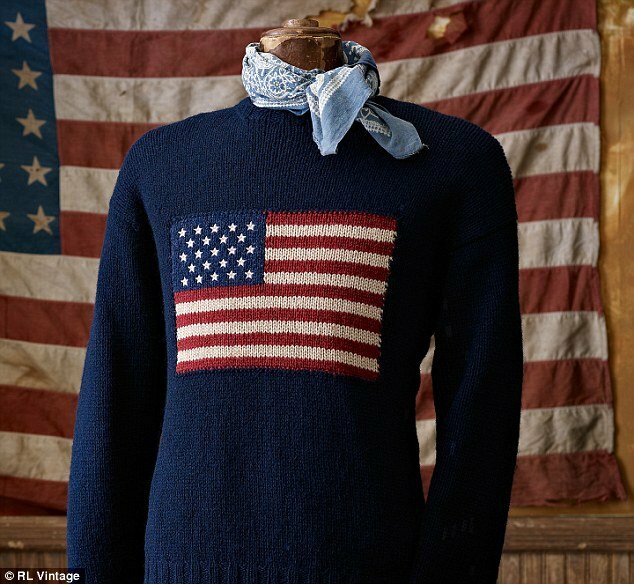 The current collection for sale, titled Western, includes a hand-knit wool flag sweater that was created specifically for a Life magazine shoot. Ralph Lauren wrote on the original item’s page: “When Life Magazine asked me to be on their cover, photographed at our Double RL Ranch, I wanted to wear something that was just as American as my weathered jeans and jean jacket. Other items up for sale include a cropped suede jacket which was inspired by a jacket worn by Randolph Scott in a Western movie the designer says he remembers fondly from his childhood. A sherling coat, corduroy wrap dress and a bevy of cowboy boots also feature. However, more than 20 of the items have already sold since the site went live on Thursday. The site also features a “Bring It Back” program, where users can vote for a list of iconic products they would like to see brought back into production.